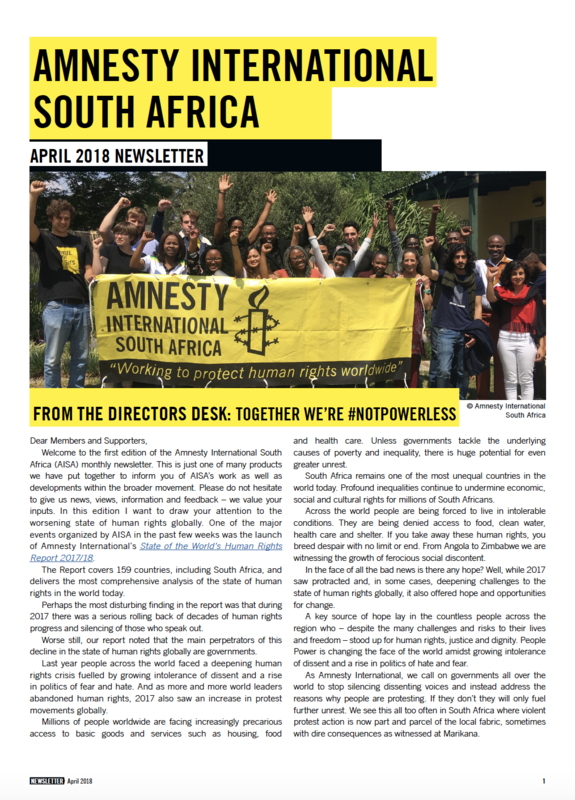 Welcome to the first edition of the Amnesty International South Africa (AISA) monthly newsletter. This is just one of many products we have put together to inform you of AISA’s work as well as developments within the broader movement. Please do not hesitate to give us news, views, information and feedback – we value your inputs. In this edition I want to draw your attention to the worsening state of human rights globally.